In the Terminal 1B of Frankfurt Airport, after Police Check, walk straight to the Goethe Bar. Turn on the right and then on the left at Heinemann. 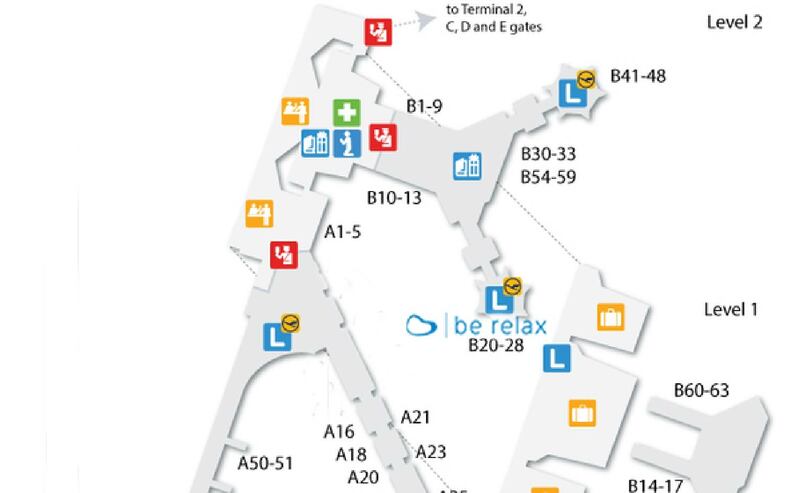 Continue straight, Kiosk is right after gate 23. Welcome to Be Relax Frankfurt !